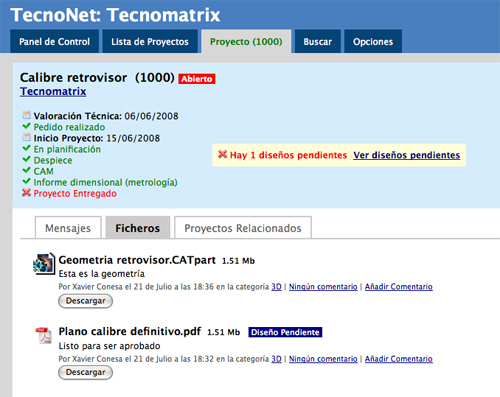 Since June 2008, Tecnomatrix staff has been using a web application enabling us to share with our customers project-related information. We have integrated this tool to our working method since it enables to save a lot of time and avoid many mistakes, particularly communication ones. TecnoNet is an exclusive service for Tecnomatrix customers. Ask for your login and password if you are one of Tecnomatrix customers and do not have access keys yet.